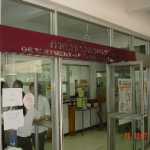 The Department of Chemical Engineering, King Mongkut’s University of Technology North Bangkok was founded in 1984. The main duty of the department is to produce graduates in both undergraduate and graduate levels in chemical engineering that could perform in the position of chemical engineer, chemical process engineers and researchers in the chemical industries, petrochemical industries, food and pharmaceutical industries, and other related industries. To serve both Thailand and foreign countries, in the coming year of 2015, our department will offer the International Program in Chemical Engineering for bachelor degree. 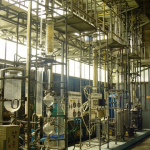 The discipline of chemical engineering integrates both physical and chemical phenomena involving the manipulation of molecular matter and energy i.e. established on core principles—the conservation of mass, momentum and energy while incorporating numerous areas of technology. 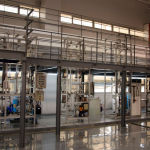 The philosophy utilizes a wide range of knowledge such as thermodynamics, reactions and kinetics, catalysis, chemistry, molecular biology, transport phenomena, process control etc. to solve complex and practical problems. 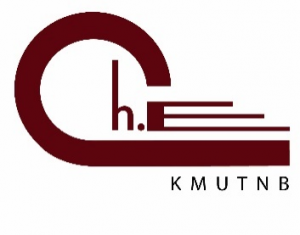 Chemical engineers graduated from KMUTNB play vital roles in all technical and managerial functions bearing on the chemical and bioengineering process industries i.e. research and development, design, plant construction, plant operation and management, corporate planning, technical sales, and market analysis etc. We have successfully served the industries to produce chemicals or certain physical changes in fluids, including petroleum and petrochemicals, rubbers and polymers, metals, industrial and fine chemicals, industrial gases, food and consumer products, and microelectronic devices and integrated circuits. Many areas of bioengineering and biotechnology including pharmaceutical and biopharmaceutical, cellular bioengineering, diagnostics, drug delivery have also gained more interests. In addition, the chemical engineering skills are attuned to the efficient energy resources e.g. hydrogen and fuel cells to bring different perspectives and approaches to meeting the global’s energy needs. Our specifically designed programs also include a broad education in humanities, social sciences, and managerial techniques so the students will develop a sense of responsibility and awareness in which engineering decisions are made and implemented. The students should be encouraged to embrace using outside the box contemplation to solve problems. Ultimately, our department would like to motivate and challenge our students to look at the globalized society and how to better serve the world citizens.